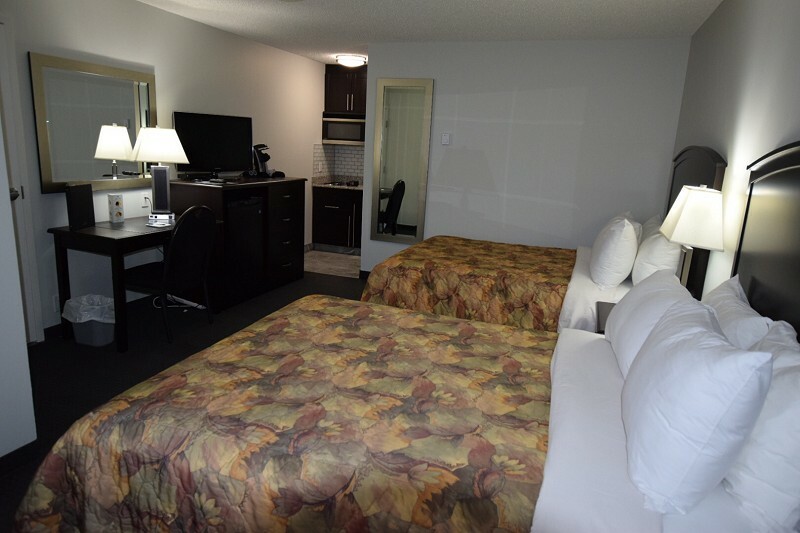 Our rooms and kitchenettes are smoke-free, and will allow you to feel at home during your time in Cold Lake, ensuring your stay will be a memorable one. Once you've arrived at El Lobo, you'll find a lot of great amenities waiting for you in your room. Spacious, newly decorated rooms and kitchenettes, all with blackout blinds. Choose between rooms or kitchenettes with 2 Double beds, 2 Queen beds or a king bed, each with award winning Simmons mattresses. Need to get some work done while you're with us? We offer free internet access in every guest room. Watch TV and when you're ready for some rest, settle in for the night in our comfiest amenity yet, our clean and fresh El Lobo bed. Travelling with your canine companion or feline friend? No sweat! We are happy to allow your pet to stay with you in our selected pet friendly rooms. A nightly cleaning fee applies. Since its inception commencing in 1975, the El Lobo Motel has developed an exceptional team of dedicated and professional staff. The Owners and Staff look forward to welcoming you during your next visit to the Bonnyville – Cold Lake area. Our motel is service driven, responsible, socially and locally connected, and has a modern friendly attitude in everything we do. From booking to checkout, we are here to make your stay as enjoyable as possible. 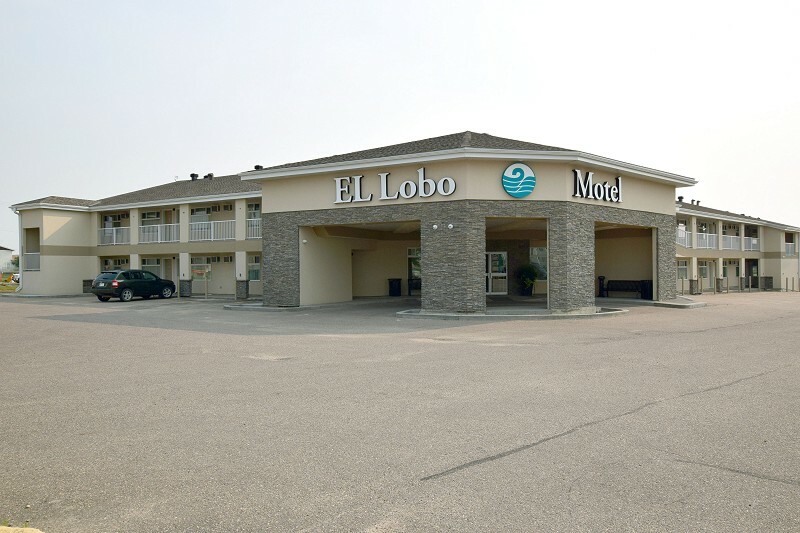 Whether you are visiting Cold Lake for work or pleasure, the El Lobo delivers all of the comforts of home in a warm and welcoming atmosphere. It is no surprise that our guests return again and again. If it’s a convenient and outstanding location you are looking for, ours is tough to beat. Right in the heart of Cold Lake and in close proximity to an array of arts, museums, dining and entertainment. For your convenience, the El Lobo has 41 well-appointed rooms and 20 kitchenettes, Wi-Fi, coin operated laundry facilities, and lots more. 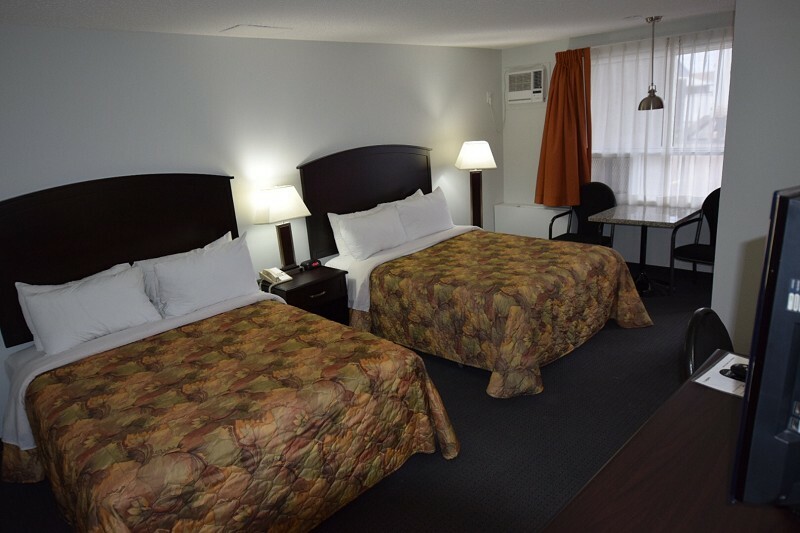 In addition, our sister property, the Lakeland Inn Hotel, is conveniently located across from the motel parking lot and has impressive banquet facilities. The hotel also boasts a popular coffee shop, dining room, lounge and sports bar & grill. 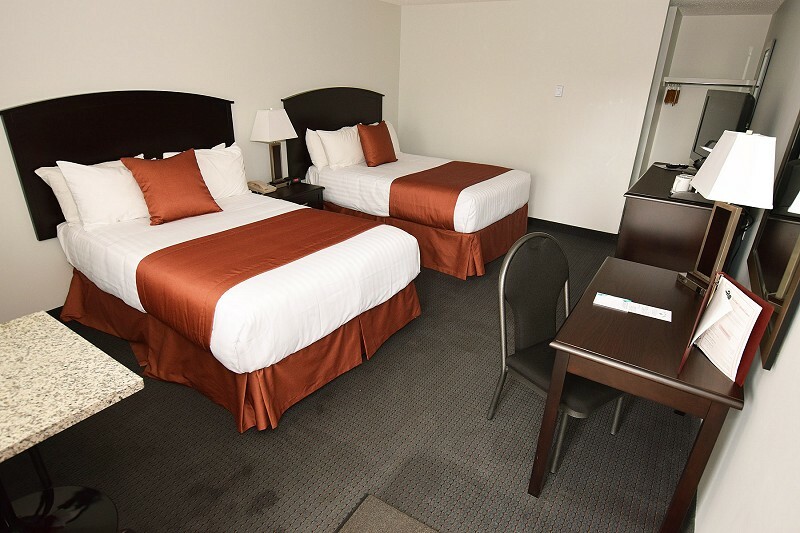 The motel has ample free parking for motor vehicles, including large rigs and busses, along with 24-hour video surveillance and late night patrols for your added convenience, security and comfort. Please visit EL Lobo Motel Website.